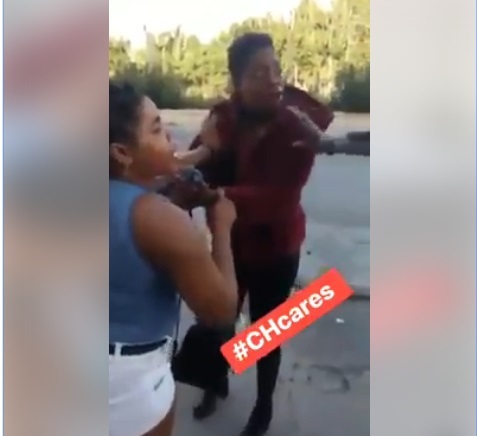 A disappointing video showing two Nigerian women fighting over a man in Italy has surfaced online. 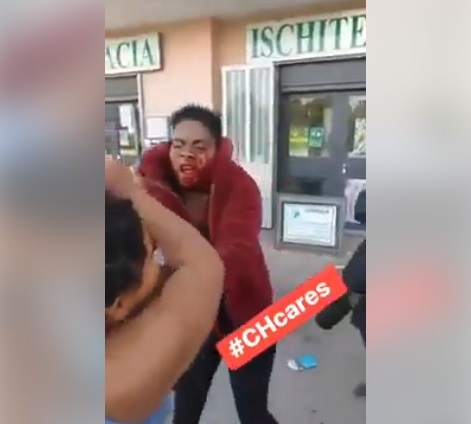 Two Nigerian women have disgraced themselves by fighting publicly in Napoli area of Italy over a man. One of the women was left bloodied in the fight. 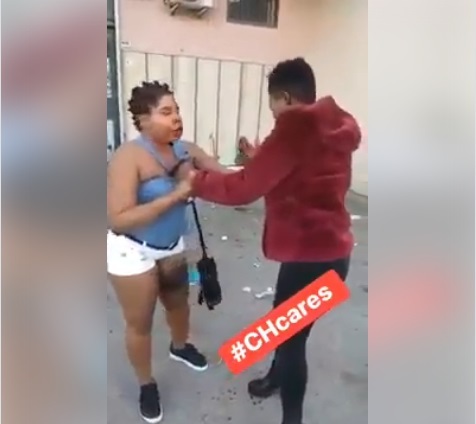 It was gathered alleged to be prostitutes started fighting following a disagreement over their meeting point of customers in the region and decided to tackle each other on the street. In a shocking incident which was captured on camera, the Nigerian women can be seen punching and slapping each other. The sad incident has been condemned by Nigerians.